I honesty don’t know why I’m surprised, because Robin told me that it was happening, but “seeing is believing” as they say ! Robin Norris is my old friend at Keystone Group, who I caught up with earlier today. 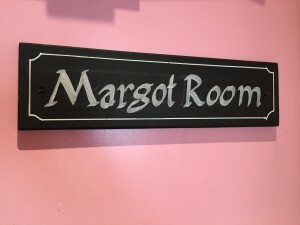 He invited me over to see the room that Keystone House Hostel in Kings Cross recently re-decorated and named the ‘Margot Room’, to pay homage to our daughter. “There’s a lot more that we can do to the room besides” explained Robin, “we wanted to get started but also to ensure that you were happy with the direction of travel”. to share some ideas on what more can be done both in the room and also elsewhere within the group. Moreover, the profits generated from the room sales this year are very kindly being donated to Team Margot Foundation. And without any prior warning, Robin promptly presented me with a cheque for the first donation. Separately, in the background we are also working with Keystone on a technology project that is targeted at recruiting more potential donors to the UK stem cell register. That particular project involves Anthony Nolan and we are very excited at the possibilities it presents as it could have a meaningful positive impact, once up and running. 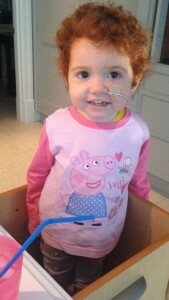 On behalf of everyone at Team Margot, thank you so much again Robin for all your support. We’re totally blown away by the kindness and generosity from you and your team.